Selangor, Malaysia, Aug 29, 2016 - (ACN Newswire) - Soil conditioners called superabsorbent polymers have the potential to reduce irrigation needs for agricultural crops by storing water and nutrients and then releasing them in drought conditions, according to a recent paper published in the Pertanika Journal of Tropical Agricultural Science (JTAS). 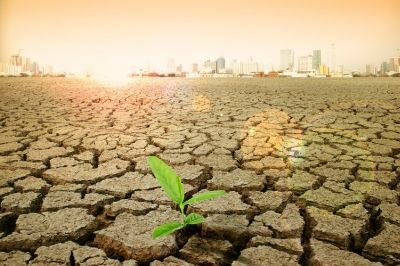 Drought is the largest abiotic stress that can reduce crop yields, and its frequency and severity are expected to increase in the face of climate change. Meanwhile, a lack of water supply is an issue for many countries. Adding this to increasing population growth, water demands are predicted to rise even further. Therefore, finding new ways to improve water efficiency in the agricultural sector is necessary. One way of doing this is to use superabsorbent polymers (SAPs). These are soil conditioners that have the capacity to absorb and retain 1,000 times more water than their size and weight. SAPs are currently used in various sectors including agriculture, horticulture, pharmaceuticals, food packaging, oil drilling and so on. Superabsorbent hydrogels (SAHs) are superior to SAPs due to their unique properties but the extension of their application is limited because of high production costs and their impact on the environment. In a JTAS review paper, Davoud Khodadadi Dehkordi of Islamic Azad University in Iran looked at the effects of SAPs and SAHs on soils and plants, suitable usage rates and the amount of irrigation water that can be saved by using superabsorbent polymers. He found that these materials could store water and nutrients and release them in light soils, enabling plants to produce grain and increase their biomass under limited irrigation water and nutrient conditions. What's more, their water storage capacity lasts for up to five years. They also improve seed germination rates and root growth while decreasing drought or transplanting stresses in plants. Furthermore, superabsorbent materials could reduce soil contamination by preventing pollutants from passing through the soil and thereby improving the quality of drainage water. However, excessive use of SAPs and SAHs could reduce soil ventilation or expose plants to diseases, some studies suggested. More research is therefore needed in order to determine the most suitable amounts of superabsorbent polymers to be used for each plant in different situations. Overall, using superabsorbent materials could improve the characteristics of light soils and allow cultivation with less water, the researcher concluded. On the other hand, they are costly in many countries and therefore subsidies may be necessary in order to encourage farmers to use them, he added.